Ofcom has proposed that aircraft and ships should need licences to provide in-journey broadband, but that there's no need for trains and buses to follow suit. The communications regulator has published its consultation on earth stations on mobile platforms (ESOMPs), responding to the growing demand for moving vehicles to tap into satellite broadband. It says there's no need to get a licence for ESOMPs on trains and buses under the Wireless Telegraphy Act 2006, as they're technologically similar to uncoordinated earth stations for which no licence is required. 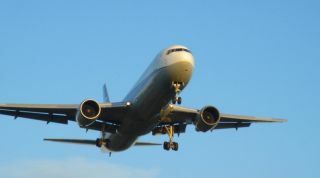 But ESOMPs mounted on aircraft or ships could cause interference to terrestrial radio outside the UK, so their owners or operators should get licences to keep with their radio stations. The aircraft and ships would be open to inspection, and should show that they will comply with the regulations of other countries they are going to enter. The UK licence should help to simplify any overseas inspections. Ofcom says it would handle the licensing for ESOMPs on ship radios itself, while the Civil Aviation Authority could do the job for aircraft. It also says the process should not be hard work, as there are already licensing systems in place for both groups. The ESOMPs would be able to operate on three frequencies: 27.5-27.8185 GHz, 28.4545-288265 GHz and 29.4625-80 GHz. The consultation is set to continue until October 10 and Ofcom plans to issue the first licences early in 2014. But is broadband on an aircraft any good? Here's our investigation.